Keep your pet safe and sound with EliteField’s 2-Door Soft-Sided Dog & Cat Playpen! 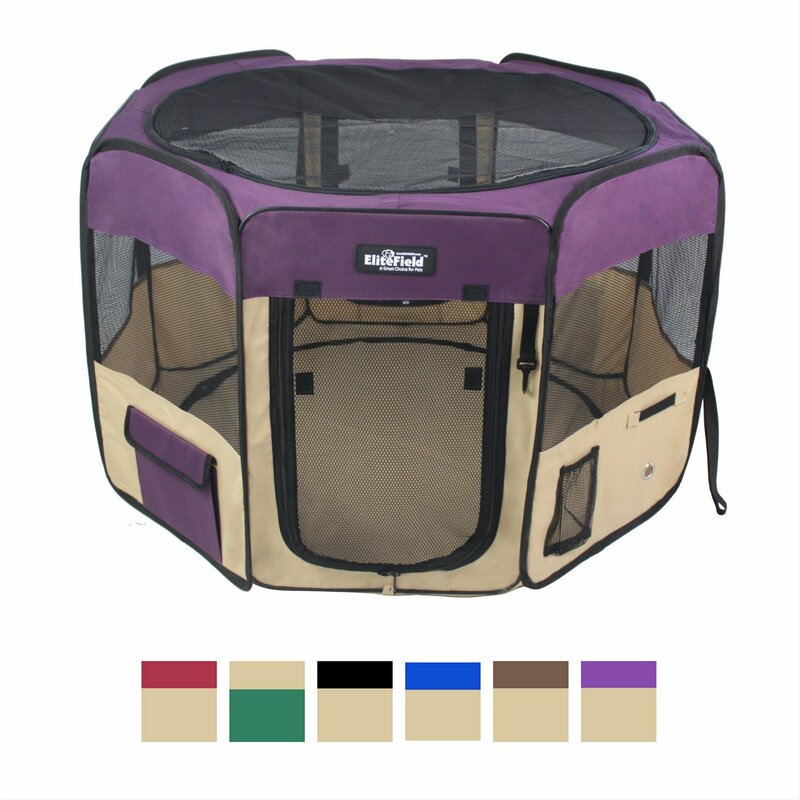 This sturdy soft-sided playpen is the perfect enclosure for your furry friend. Two zippered doors give your pet multiple ways to enter and exit their play area while also providing the visibility and ventilation needed to keep them comfortable. Made with solid and easy to clean fabric, you can count on EliteField products to last. Plus, this product includes free ground stakes and a handy carrying bag which is perfect for outdoor adventures such as fishing and camping. 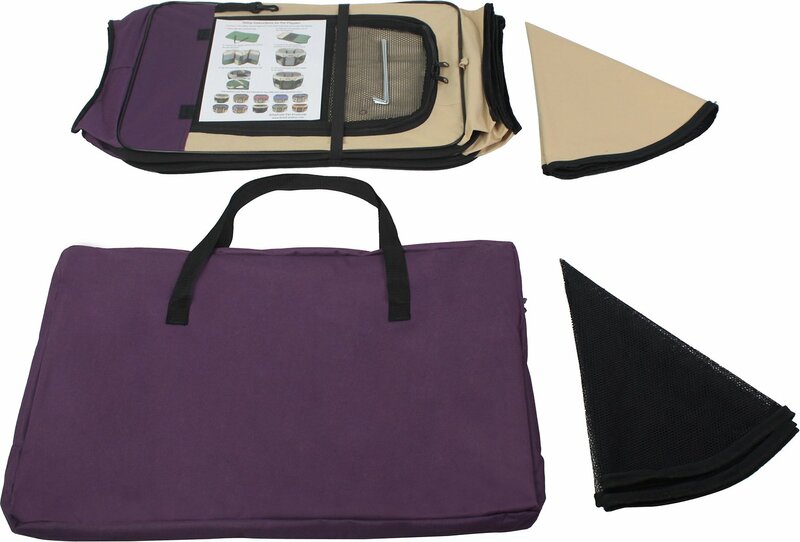 Made with lightweight, durable steel tubing and easy to clean polyester and hex mesh fabric. This easy to assemble playpen requires no tools and easily sets up and folds down within seconds. Great for both indoor and outdoor use, so you can keep your pet safe at all times. Includes two handy accessory pockets and an extra water bottle pocket so you can keep your pet hydrated. 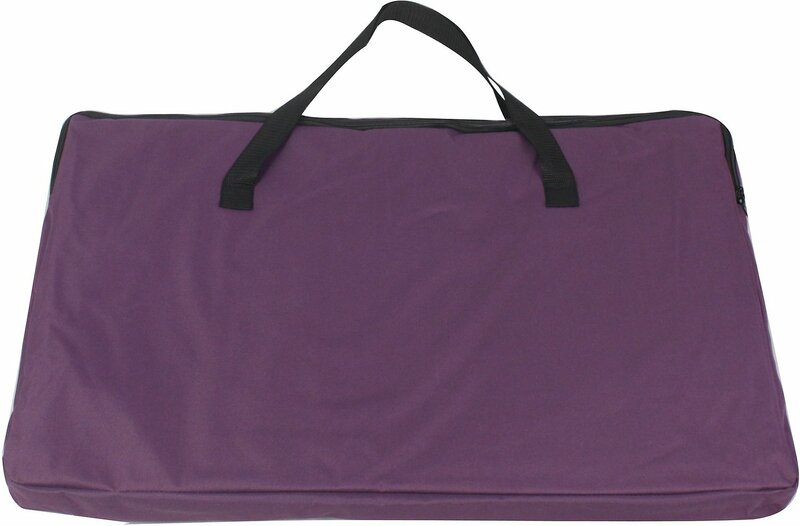 Features a removable zip-off and washable floor mat—perfect for keeping things neat and tidy. Spot clean crate. Crate mat is removable and machine washable on gentle cycle. Hang to dry. I ordered two of these, 36"tall. They are great, gives plenty of room for my kittens to play while I am busy and can't keep an eye on them. One missed the litter box, and the poo was easily wiped up off of the bottom canvas. The sides on the 36" I was afraid would be too tall for me to bend over and pick a kitten up, but the sides will bend down and are flexible. I have already sent a link to my cat friends so they can order one! I am going to get a plastic swimming pool that is the same width and that way it will work even better for cleaning. We have a 15 year old Doxie with vertigo and crate anxiety and this has been a lifesaver. Our dog fought the cage so much his poor face was cut up. He walks in circles from the vertigo so this was perfect and lessened his stress. To clean it we just unzip the base and then when we need to clean it more we hide it off and let us air dry. Since our dog is 15 he has potty accidents. So happy with this purchase. It’s sturdy too. I have a Yorkie puppy and the breeder had this exact playpen, so I purchased one. It is Makes me feel better than putting a puppy in a cage. They can see out all around. It has a waterproof zip off floor and 2 zippered doors. Lots of room for a bed too. I bought the 42” one. It folds up so easily and fits in its own bag, which it makes it so easy to take on the road. There is also a zip on top for shade if you use it outdoors. We ordered this for our small dog to stay in during the day when we are at work and at night so she wasn't able to roam free in the house unattended. 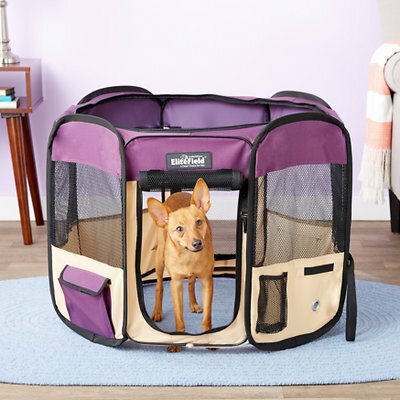 We love this playpen so far, it's very spacious with plenty of room for a bed and food bowls and provides a wonderful alternative to crating your dog. It's easy to clean and packs away easily if you want to move it or take it somewhere. Highly recommend this product. Our Doxie, like many, has back issues. This collapsible playpen is perfect for her crate rest. It folds up flat for easy storage, and when we need it, pops right open again. It's the perfect size to fit in our living room so our pup is not isolated in her crate in another room. We can easily pick her up through the open top. We can unzip the mesh door to allow her to walk out or in. We also take the playpen when we go on vacation so we have a quick set-up for feeding, sleeping, or just enjoying being outside. This is the best thing ever! I had to temporarily move in with family and bringing the dog was going to be tough but this soft crate made life so much better. My fur baby Pomeranian loves his little Castle. It’s big enough for him to be comfortable & run in and it’s way better then a metal crate. Best purchase ever. He loves it and I’m sure he likes it more than his metal crate he had prior. Great buy, I totally recommend it!!! This playpen was perfect for my 3# toy poodle, put her bed in it, she got right in & went to sleep. Just enough room for bed and potty paper. Got the smallest size. Would need bigger size for any pet much larger. Very good quality for the low price, was pleasantly surprised. Very portable. Can use the zippered floor and top or not. Highly recommend. Love this, but some issues..